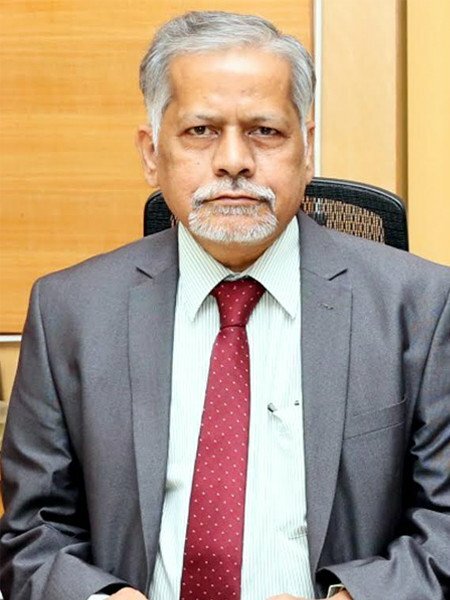 Professor Vidyasagar Pandit Balchandra, Vice- Chancellor of Swami Ramanand Teerth Marathwada University since 2013, has made significant contributions in the field of Bioinformatics, Medical and Health Physics for the last thirty years. He has shown great transference in the field of Science as well as Education though his unique and significant research works. His diligence bestowed on him several prestigious awards such as a Best Teacher award from University of Pune, Vidya Vyas Puraskar by VidyaSahakari Bank and G.R. Paranjape award by Maharastra Sahitya Parishad etc. With 16 books , about 150 articles in newspapers, 25 radio talks, ten educational films, about 300 lectures on science subjects at remote places, school and colleges; he works for popularization of Science and have brought concepts in Science in the form of small couplets in Marathi a unique project in the world. 1. Before initiating with questions, let me appreciate you for the unique project concept and your toil for the improvement of Science. You were designated with several positions earlier as a Director for School of a Medical Sciences, Member Secretary of Employment Exchange Bureau, Chairman of M.Sc. Examination, etc. Now, you have been in the post of Vice Chancellor for over two years now. Can you share your experience about the University? Swami Ramanand Teerth Marathwada University, Nanded established in 1994 is relatively a young University. However, over the years, it has crossed many milestones and now has acquired 'A' grade through NAAC accreditation. The university caters four districts, which are Nanded, Latur, Parbhani and Hingoli. The area has Low Gross Enrolment Ratio (GER) in Higher Education and includes urban, semi-urban, rural and tribal areas. The university campus has fourteen different schools and have made them remarkable impact in research at the national and international level. The faculty has been publishing research work in highly reputed journals, including highly prestigious journal "Nature". The university has taken steps to improve teaching learning process and has introduced Choice Based Credit System at Post-graduation level and the same would be introduced at the under-graduate level for the year 2016-17. Several challenges such as scarcity of water, poverty and isolation are before us, but they will not deter us from our goal to achieve academic excellence. 2. Sir, you have researched on Leprosy. According to you, how far your research works are implemented? Are you or your team members still continuing the research over Leprosy? The research related to earlier diagnosis of Leprosy has been very important and is being used in diagnosis. Yes, my former colleagues are still continuing the research over Leprosy at Foundation for Medical Research, Worli, Mumbai and other institutions. 3. You worked as an Associate Director for the National Talent Search Program earlier. What kind of talent have you noticed in the present generation and what is your opinion over the present generation? The present generation is more focused and also aims at higher goals to be achieved. However, conceptual understanding of the subject is sometimes lacking. Also the holistic development is ignored, which may result in lack of social awareness and sensitivity. 4. You have served as a Coordinator for National Eligibility Test. What is your view over present teachers and lecturers? Do you think India has good teaching resources? Unfortunately the best of the talent, it does not opt for the teaching profession. Very few, who opt the career in the teaching profession, have to struggle to get the opportunity to prove their talent. The selection procedure is faulty and many times merit is not the sole criteria for the selection. The proper encouragement from the faculty is missing at the college level so as to improve their abilities by engaging themselves in research. The good teaching resources need of the hour. 5. Prof. Vidyasagar, you have participated in the UNESCO project on Physics Education. You have edited, designed, modified and wrote several course books and textbooks. What kind of modifications you expect from the present Educational System and do you think our textbooks are insufficient standard to meet the future requisites? The first and foremost modification in the present educational system required is the change in teaching learning process. There is a need to shift from rote learning to conceptual learning along with the subject knowledge. Students should pay attention towards personality development, communication skills, attitude and values. Students should be engaged in activity oriental learning and acquire certain skills useful for day to day life. Proactive learning is the mantra for the success. 6. You were always innovative throughout your career. Tell us something about you novel scheme "One Teacher One Skill" and also about your future aspect. The scheme 'One Teacher One Skill' has been designed to make skill development as an integral part of higher education. This would not happen unless teachers are involved in this endeavour. Each teacher needs to acquire at least one skill and impart it to the students. The skills may not be necessarily related to science and technology but with any other subject such as Language or Social Sciences. Swami Ramanand Teerth Marathwada University, Nanded is the first University in the country which has launched this scheme and has made operational since the year 2014-15. It has taken help from organizations such as Maharashtra Chamber of Commerce, Industry and Agriculture & the Maharashtra Centre for Entrepreneurship Development. The teachers have been trained and also the material required is being developed. 7. Most of your books are popular as few were read on All India Radio, few were translated into other languages and a few others were even used as textbooks. What kind of books can be expected from you in nearby future? I am planning to bring out a Book consisting of 1200 Rhymes, along with the Text on History and Concepts in Science. This may be first of its kind in the world. I am also planning to write a book on Science and Morality. "The treatise is about the history, origin of the universe and life, physics, chemistry, biology, physiology and medicine, mathematics, statistics, computer, environment, biotechnology, nano technology , and science and society. It presents the life and work of eighty scientists, principles, laws, concepts, developments and purpose of science. This is in poetic form supported by the text. This is a short treatise on the vast body of science which will certainly enrich perception of reader about science. The book will have about 1200 rhymes. No such work has been reported so far. It would be highly useful for the students all over the world to create interest in science and overcome the fear. A Similar effort made in Marathi by me has been highly successful and is accepted at all levels. The form chosen is simple, elegant, absorbing and would attract all to know more about science. The work is original." 8. Besides following your academic responsibilities, you have also carried on with your social responsibility. Share with us your past and present views and activities towards the social responsibility? I have been participating in the programmes for science popularization through various organizations such as Peoples Science Movement, Marathi Vighyan Parishad and programmes organized by science and technology. I am continuing the same and interact with the students and the public at large on various topics in science subject. I am also the President of Maharashtra Association of Anthropological Sciences and which provides help and guidance for the projects taken up for the upliftment of tribal people. I am also supporting the organizations working for blind students and create educational opportunities for them by providing expertise and financial support to some extent. I am also trying to help many students by making available financial support through different organizations. 9. Professionally, you have achieved a lot, which inspires our future generations. Please tell us something about yourself, your hobbies and your interests. Reading, writing and lecturing are my hobby. I have very simple habits and can adjust myself in any situation. Brainbuxa seems to be a good idea to provide information and support to the students to choose their career and also keep themselves updated about the latest events in the field of education. I am sure that it will grow as a large scale activity in the field of education in near future. The comment section is open for everyone; you can comment if you like the interview, can have suggestions from Mr. Vidyasagar if you have any doubts.